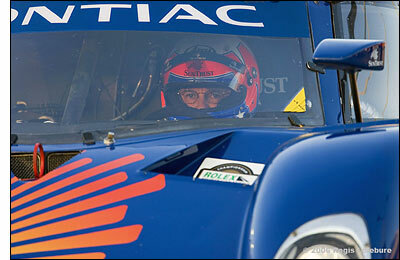 SunTrust Race Team car owner / driver Wayne Taylor is standing down for the next Grand Am race, the sprint at Long Beach (April 7-8), and has invited Jan Magnussen to join the championship-winning #10 SunTrust Riley Pontiac team. “I imagine that this is a step towards looking at a bigger picture for the years ahead,” commented Jim France, CEO of International Speedway Corp.
Jan Magnussen was a star in the opening stint of the 2005 Rolex 24, in one of Kevin Doran’s cars. He had expected to race Mr. Goh’s Maserati in the Super GT series in Japan this year, but that car wasn’t quite competitive with the domestic entries. At the Sebring 12 Hours, Magnussen remarked that he was hoping to find more drives this year – and suddenly one ‘falls into his lap’. 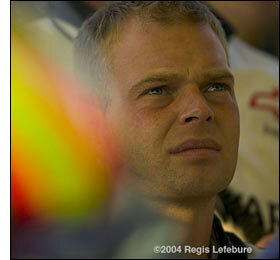 Magnussen won the GT1 Class at Sebring with Oliver Gavin and Olivier Beretta. “In the future I may concentrate just on the long distance races, but for now I plan to continue driving this year,” added Wayne Taylor (right). The SunTrust Riley has been a little ‘off’ its regular pace so far this year, but GA’s recent penalties and adjustments might make a difference at Long Beach, which ought to favour the bigger V8s anyway.